Death of Fr. Jim O’Connor, Redemptorist. Fr. 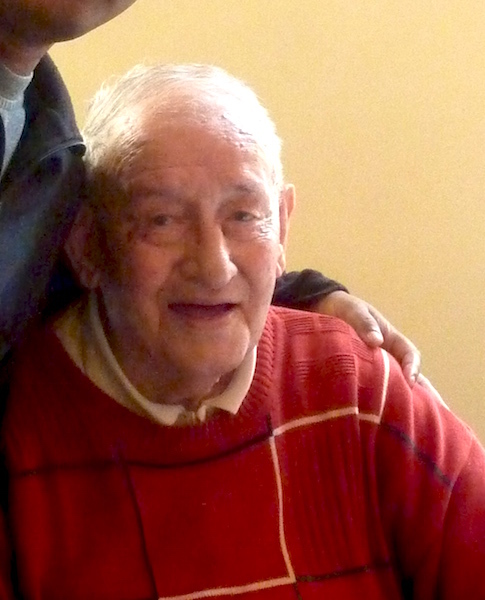 Jim O'Connor, on his 87th birthday, July 7 2011. We regret to announce the death of one of our Redemptorist confreres, Fr. Jim O’Connor, who went to God on Monday morning April 18th, 2016. May he rest in peace. Fr. Jim was almost 92 years of age: Fr. 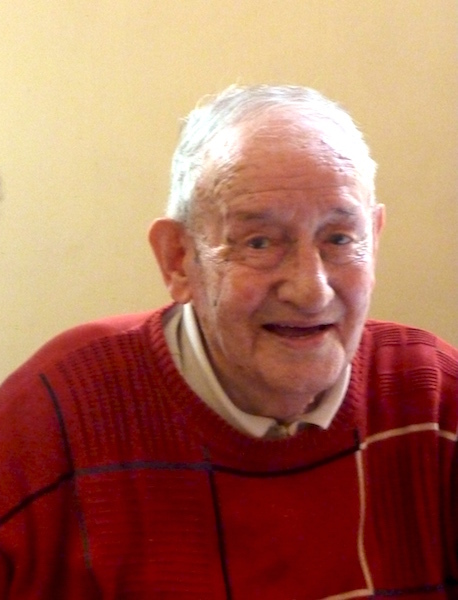 Jim was born in Limerick on 7 July 1924, was professed in St. Joseph’s Dundalk on 23 October 1943 and ordained in Cluain Mhuire Galway on 27 August 1950. FUNERAL ARRANGEMENTS: Fr. Jim’s remains will be brought home to Mt St Alphonsus tomorrow, Tuesday, at 5.30pm. Reposing at the Monastery on Wednesday. Prayers at 6.30pm with removal to Mt St Alphonsus Church for Mass at 7.15pm. Fr. Jim was predeceased by his brothers Coleman, Joe and Pat. Deeply regretted by his Redemptorist Community in Ireland and the Philippines, nephews, nieces, grandnephews, grandnieces, extended family and friends. Fr. Jim O’Connor was a much-loved member of our Province, and lived in Mount St. Alphonsus in Limerick for the past ten years or more. He had laboured for a great number of years in the Philippines, after his Ordination in 1950. In the seventies, he returned to Ireland and worked for quite a few years giving Parish Missions and retreats all over Ireland. Then, he chose to return to his first love, the Philippine Islands, where he worked again for several years, before returning to Ireland in his latter years. Fr. Jim was a proud Limerick man, and a great rugby fan, an ardent follower of Munster rugby. Was his death hastened by Munster’s defeat by Connacht on the night before he died? He was a great singer also, and his favourite party-piece was ‘Keep right on to the end of the road’, which he would sing at the drop of a hat, even into his later years. A video-clip of his singing this will be put up on this site shortly. Fr. Jim, you were a joy to be with in any community. You brought laughter and fun to us all. Even in your last years, when you were in Carrigoran Nursing Home in Newmarket on Fergus, you still kept up your spirits and your smile. We thanks God for you, for the person you were, for all your ministry among God’s people, in Ireland and in the Philippines. Ar dheis Dé go raibh do anam dílis! ← Follow the Icon: Dates of visits to Cathedrals and other venues.